These wines are so special and so good because the families have total control over the winemaking process from start to finish. As one winemaker says, “I put my heart in every bottle of wine.” Each family owns the vines and personally works in the vineyards, pruning the vines, hand-picking and sorting the grapes, and overseeing the winemaking process in its entirety. Over the years, Steve has had the good fortune to become friends with some of these highly respected winemakers. 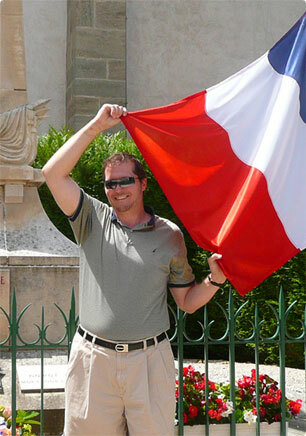 His passion for and first-hand knowledge of their wines have earned him the nickname “The Burgundy Wine Man.” In recognition of his contributions to the promotion of Burgundy wines – as well as his close, personal ties with many of the region’s top winemakers – Steve was inducted into the prestigious Confrerie des Chevaliers du Tastevin at the historic Chateau du Clos de Vougeot. Furthermore, Steve is privileged to serve as the Vice Conseiller Gastronomique for the Chaine des Rotisseurs. Steve has been honored as the Burgundy authority at the annual Food and Wine Classic at the Cloister on Sea Island, Ga., as well as at the annual Wine and Food Festival at The Grove Park Inn Resort & Spa in Asheville, N.C. He served as sommelier for the kickoff dinner at the 2001 PGA Championship and was featured in an article in Travel and Leisure Golf magazine coinciding with the Masters Golf Tournament in April 2003. He was also selected to present Burgundy at Disney’s Epcot International Food and Wine Festival in 2006 and again in 2007. And that’s why Steve formed P. Comms Int’l.